Gatwick Airport oil: 100 billion barrels. 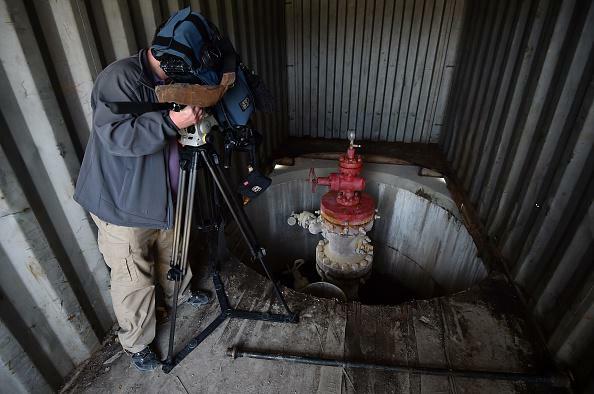 A cameraman films an exploratory well in the Horse Hill field near Gatwick Airport. A British company says it’s found up to 100 billion barrels of oil at a field less than 2 miles from metro London’s Gatwick Airport, in the largest onshore oil discovery in the U.K. in 30 years. The company, U.K. Oil & Gas Investments, believes that between 5 percent and 15 percent of the oil from the Horse Hill field can be extracted and that by 2030 nearly a third of the country’s oil demand could be met just by the production of the area in question. 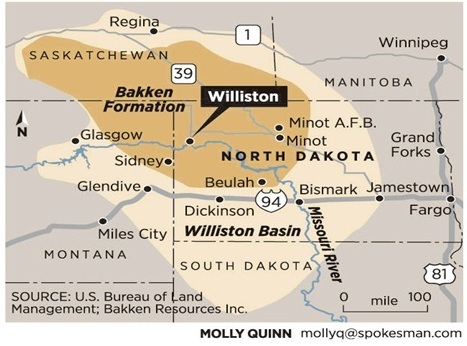 By comparison, the entire boom-driving North American Bakken formation holds an estimated 150 billion to 900 billion barrels, while current projections estimate that 32 billion barrels can ultimately be extracted from it. The U.K. government, however, has encouraged energy exploration in the area of the Horse Hill field, and fracking—which may or may not be required to extract oil from Horse Hill, the Guardian says—is still legal in England (but not in Scotland and Wales).